The environmental problems we all face are so immense and all encompassing most of the time it's just too hard for us to grasp. 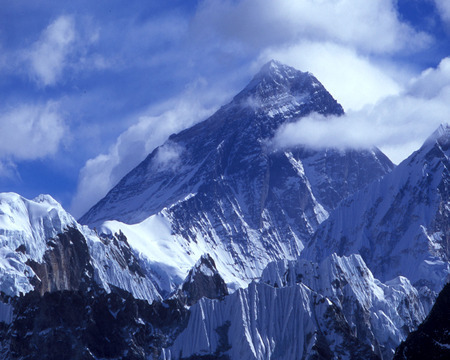 In this this story reported by The Guardian, the sons of Sir Edmond Hillary and Tensing Norgay explain the effect climate change is having on Everest. When the effects of global warming are served up like this things become a lot clearer and the need for urgent action seems all the more apparent. The UK government have launched a carbon calculator recognising the complexity and confusion in this area. I think this is a brilliant initiative. I'm not sure if we have one over here in Denmark. Maybe we should suggest it? But according to the Netherlands Environmental Assessment Agency, soaring demand for coal to generate electricity and a surge in cement production have helped to push China's recorded emissions for 2006 beyond those from the US already. 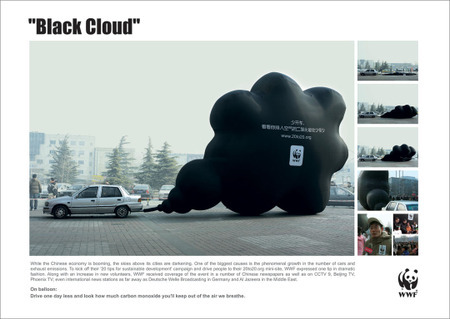 It says China produced 6,200m tonnes of CO2 last year, compared with 5,800m tonnes from the US. Britain produced about 600m tonnes. Saw one of these on my way to work this morning. 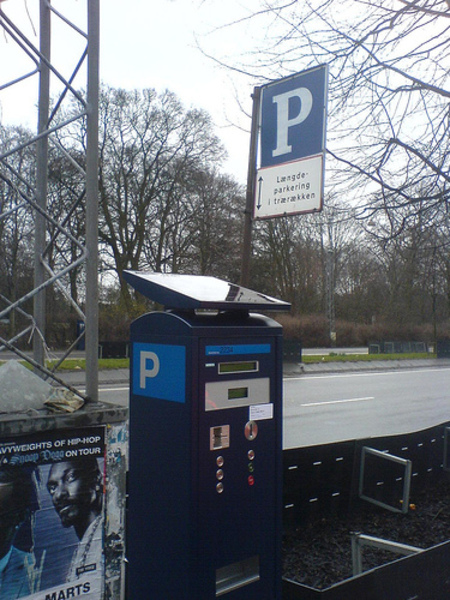 A solar powered parking meter! After a quick google search I can see that they're being used all over the place, NYC included. Brilliant. Just found this via Hugg. I love the way this makes the whole thing so tangible. Don't worry, everything is going to be okay! For anyone who hasn't seen this already, Richard Branson has stepped to save the human race and planet earth. He's throwing money at the problem. Judging by their slick logo for this project one of the terms and conditions is that we accept a large Virgin branded planet as our new neighbours.